In Architectural Visualisation digital material makes all the difference. 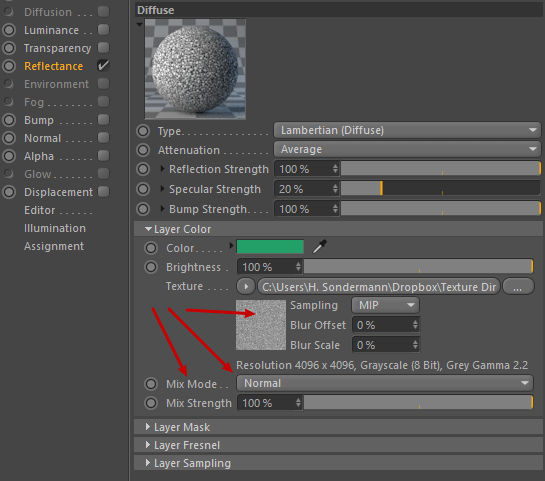 Let me show you some fundamental Cinema4D features to create physically correct surfaces. Creating a good texture may seem a confusing matter in the beginning. One reason: There is no standardized material system in computer graphics today. In fact, each renderer has a system of its own, creating lots of compatibilty issues that drive everyone crazy. 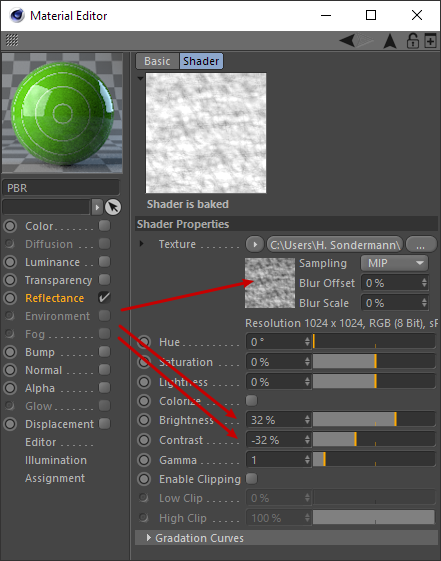 Now think of it: Cinema4D itself has 3 built-in photorealistic renderers. 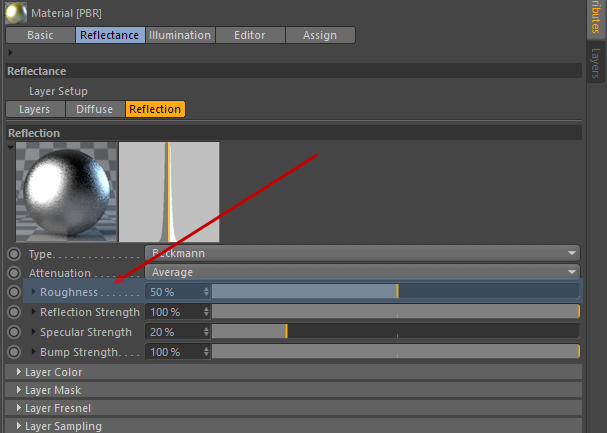 And it allows to run many more 3rd-party renderers as plugins, among them Renderman, Arnold, VRay . 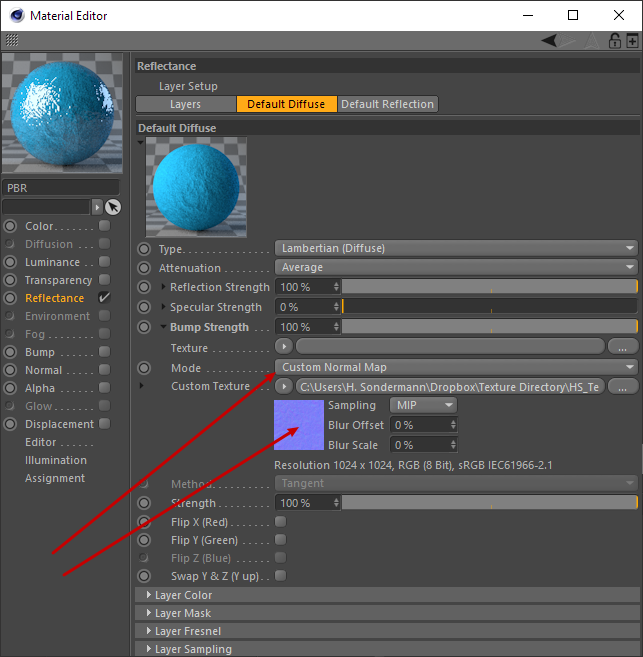 Create Digital Material: But which one? 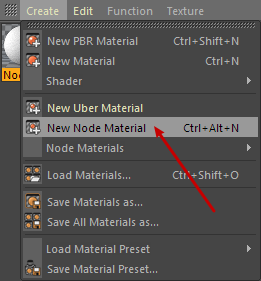 Disclaimer: In this article I won’t talk about C4D’s new Material Node Editor. Why? Well – first of all this is a massive subject worth an article on its own. 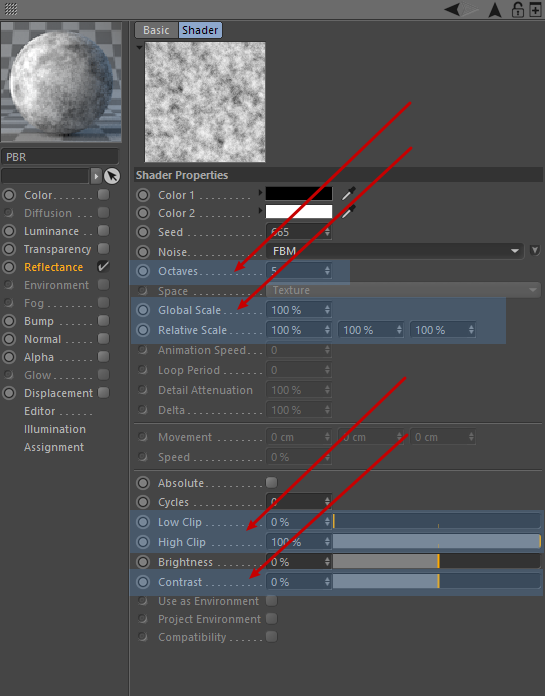 Most important though, at least with C4D R20: It doesn’t play with C4D’s new GPU-based, fast ProRender. Which again I utilize a lot – which is stuff for another piece to write. 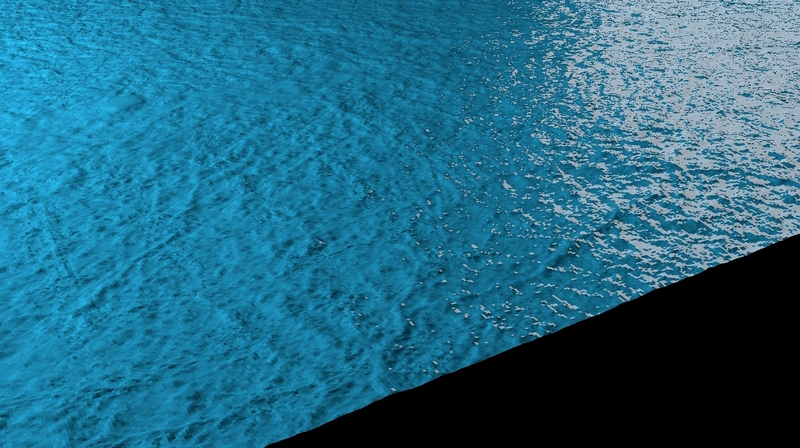 I will cover Diffuse, Reflection, Bump / Normal mapping and Displacement. I will also talk about bitmaps and shaders. I will not cover Transparency (this is pretty straight-forward) and Sub-Surface-Scattering (no average use-case). Also, no Alpha-mapping because this definitely belongs into an article on modeling. 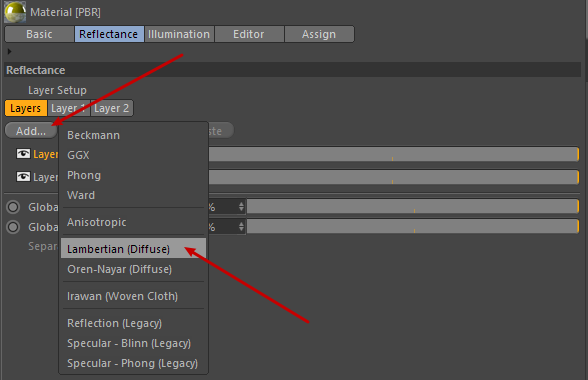 Also, I don’t describe Luminance since this is a lighting issue. What am I talking about? Let me explain. 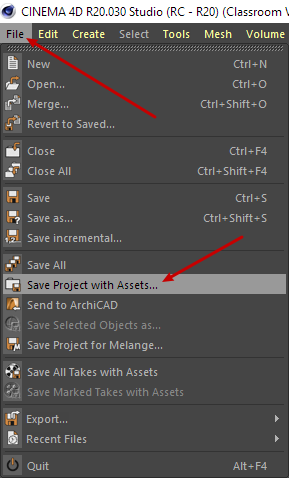 Materials are little files that you create and store with your project. They live inside the Material Manager. 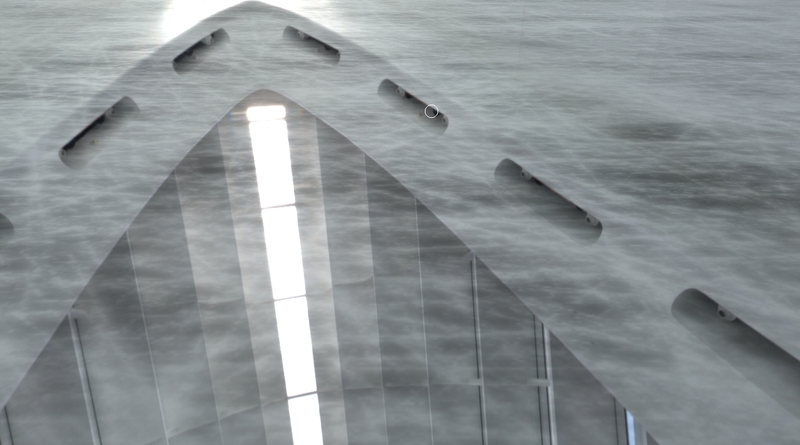 (In C4D, panels are named manager.) 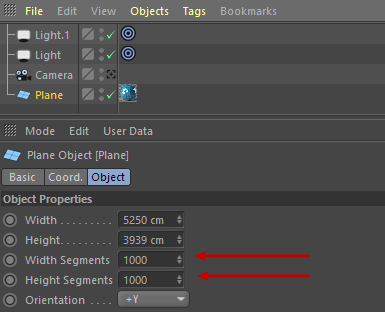 In order to actually use one of these materials you must drag them onto one of your geometry objects (in the viewport or in the Object Manager). Only then will your materials be rendered. So keep this in mind – creating a digital material and utilizing it in your scene are two different things. Digital Materials are abstract objects populating the Material Manager. 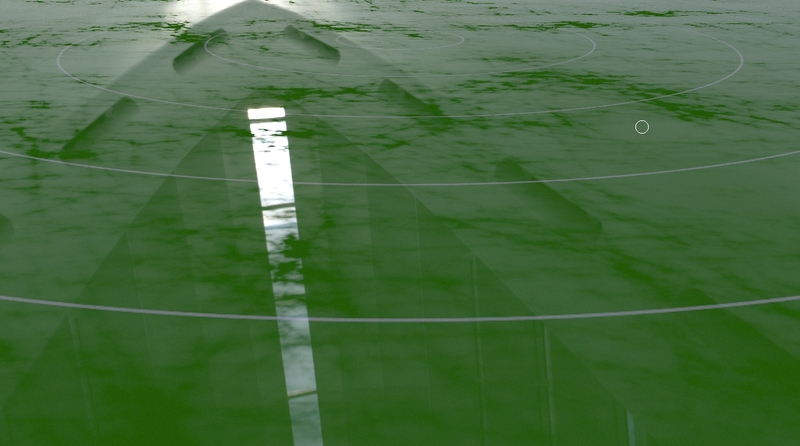 They render only when mapped on a scene object. When mapped, the according object receives a Texture tag. 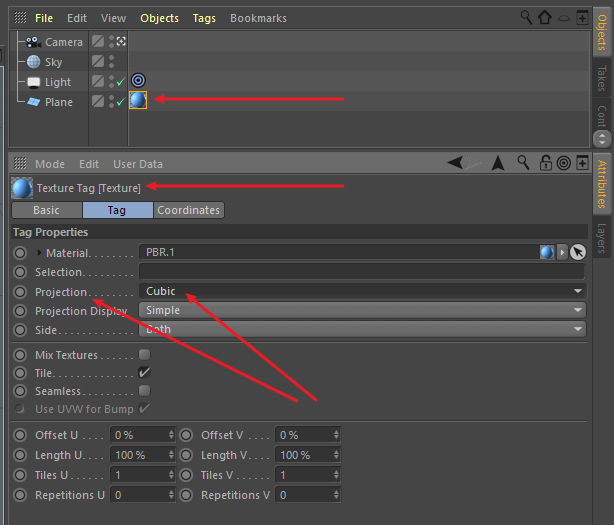 One-click a Texture tag: In the Attributes Manager, see the materials’s projection parameters. These may be different for each object the material is mapped on. 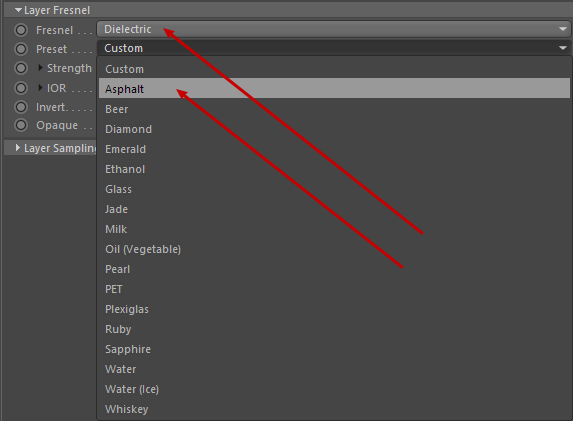 Double-click a Texture tag: In the Attributes Manager, see the material’s properties. These are global. The interface is slightly different – it’s up to you to chose which window works better for you. Material mapping and projection issues are not my subject here. 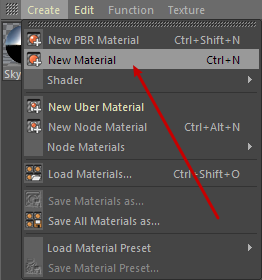 For a quick overview be sure to check with Cinema4D’s manual. 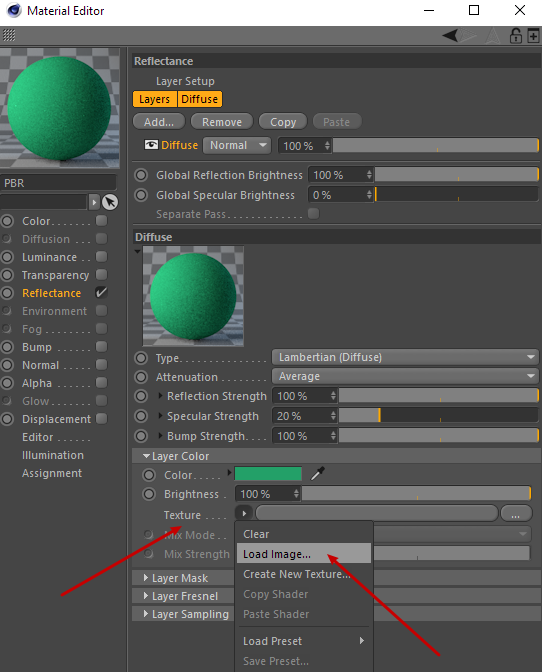 The base color, image, shader – showing color information coming from the object. 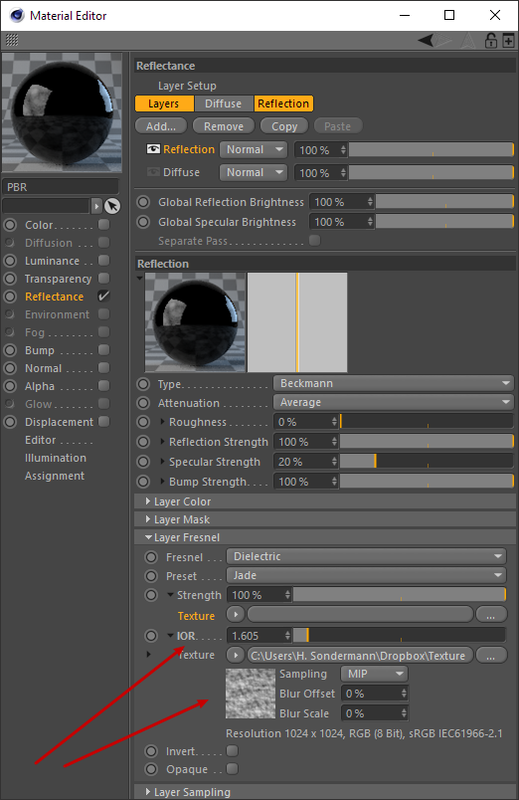 The reflection map, or a layered stack of them – showing color information coming from the environment. 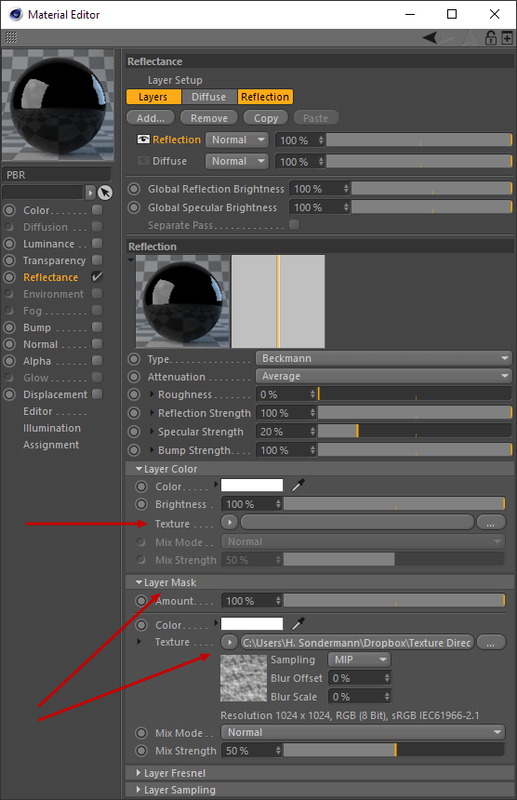 When you enter the Reflectance settings you may be overwhelmed by the many options that show up. But there is a structure to it. It shows yellow color – in my example (Color). It doesn’t seem to reflect anything besides yellow. This being said I suggest you stay with one Diffuse layer only. Why? 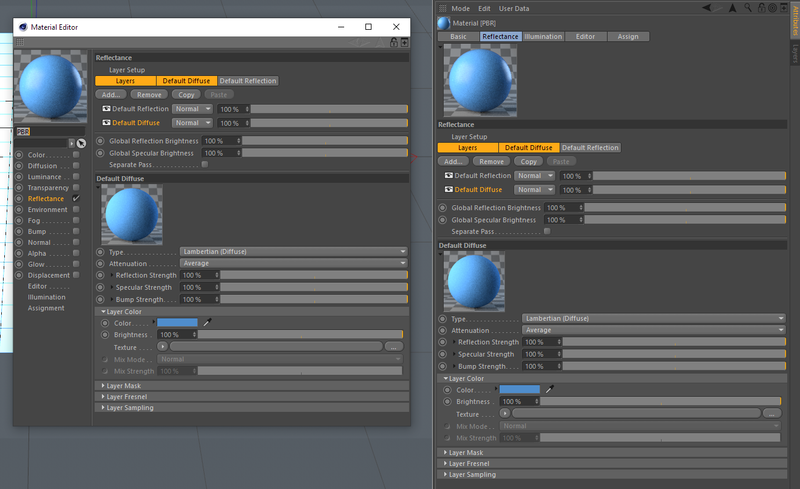 Because if needed, a complex compositing of several colors, images, procedural shaders is better done using Cinema4D’s mighty compositing shaders. I will talk about that in a minute. This should be a no-brainer as you may have used something like this a thousand times before. However a plain color will most often not be enough. So what about bitmaps or shaders? For this, I have reserved a chapter of its own. Let’s stay with the Diffuse layer for the moment. Mind you, however: Bitmaps, shaders or a compositing of the two can be utilized in many channels. And not only in digital material compositions but also in Mograph Cloners, Deformers etc. 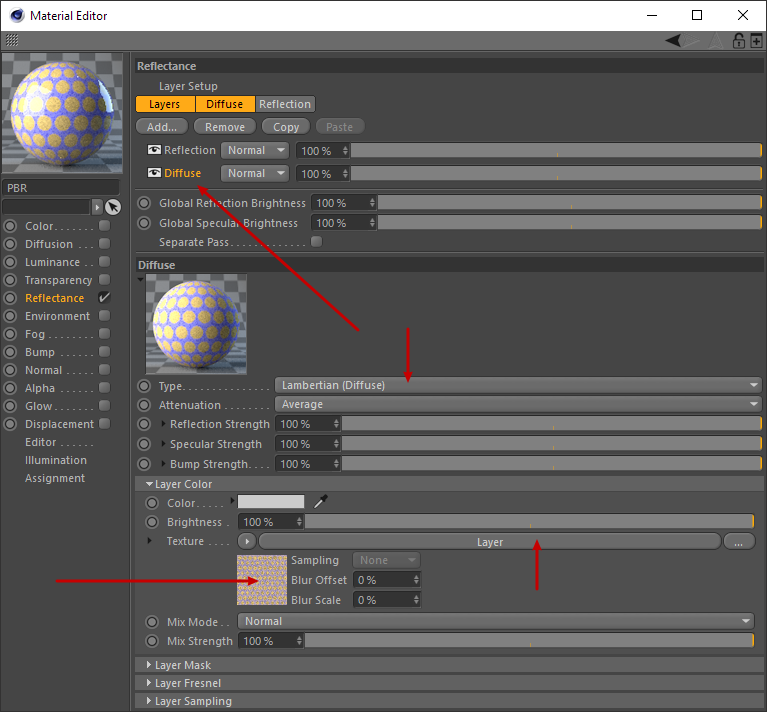 Basically in every effect or tool in Cinema4D that can be controlled by a texture map. 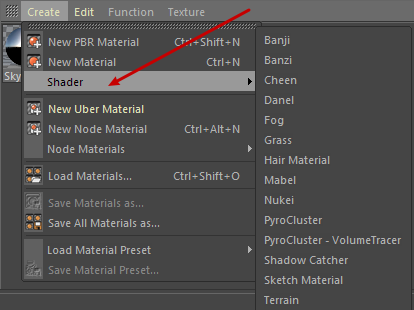 This way C4D will create a Tex folder together with your project file and copy all images you use in the project into this new folder – wherever they come from. Feels familiar? Right, that’s exactly the same as Photoshop’s Layer Blend Modes. For now, I’ll leave it at that. Again, feel inspired to check Maxon’s manual. They use random generated patterns. There are some 30 different types to choose from. Via various settings their graphics can be tweaked indefinitely. They are stackable, thus enabling even more variations. 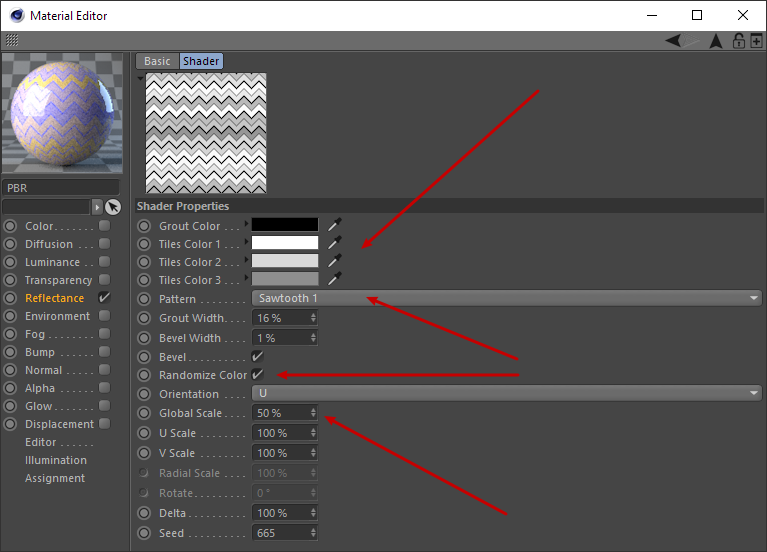 And you can also layer them with images, so they let you overpaint your bitmaps if you so wish. I suggest you play around with these values to see what they do. You see two Noises and a Tiles shader in between. The noises supply the image information, their layer blend mode is set to Normal. 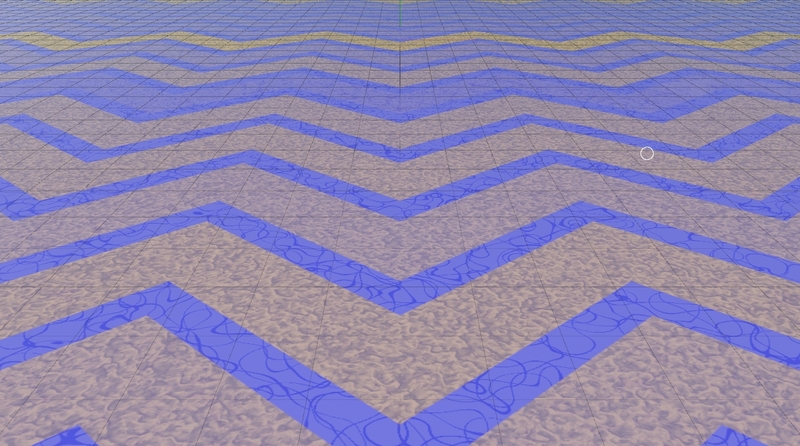 The Tiles shader serves as a mask between those noises, its layer blend mode is set to Layer Mask (surprise!). This subject is endless. And definitely more stuff than I can talk about here. Feel inspired to research C4D’s documentation. 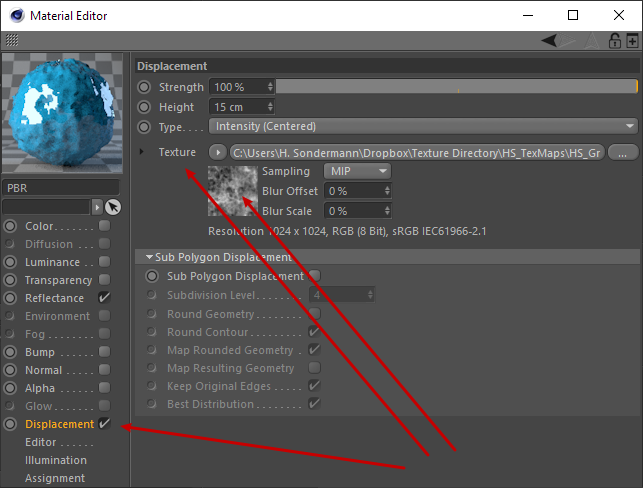 Also, there are many more tools C4D offers to create textures: the Fusion shader, the Distorter, Gradient, Colorizer … to name but a few. They are all summarized here. 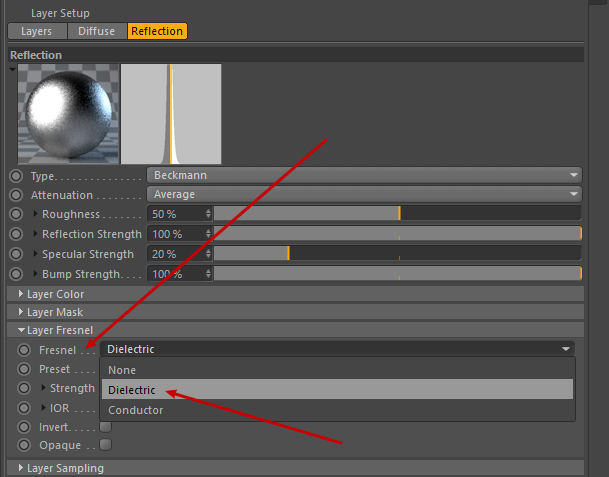 So again: Bitmaps, shaders and combinations of the two are ubiquitous in Cinema4D. And in every other renderer, for that matter. Composing maps and utilizing them in digital material channels, generators etc. is common and everyday practice. But now let’s go back to our subject: setting up a decent material. And this simply doesn’t work without reflection. 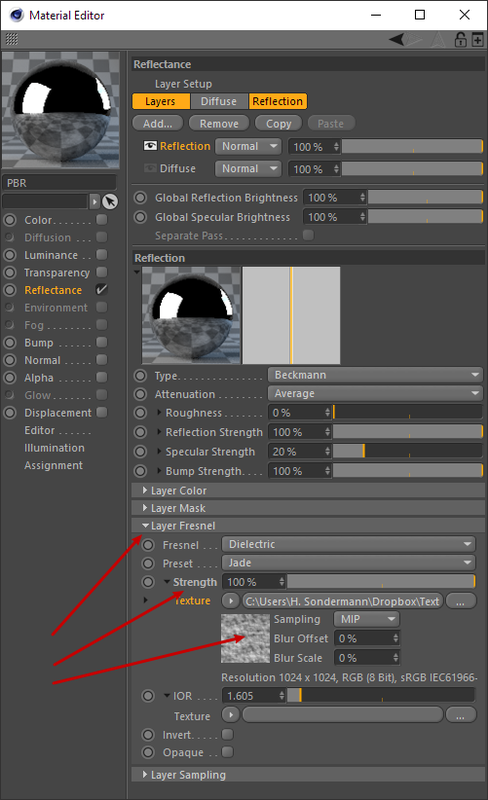 Having done that you are supposed to finetune the reflection values – not very intuitive at the beginning. 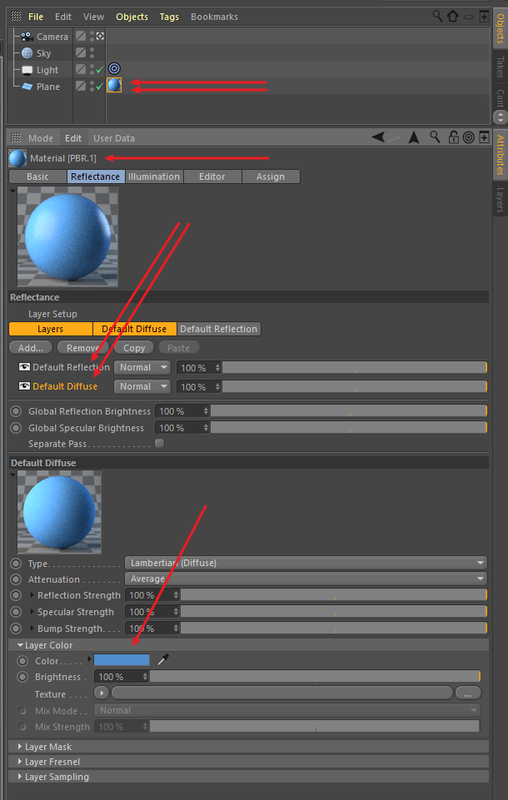 So let’s first talk about reflection principles and how they are implemented in Cinema4D. 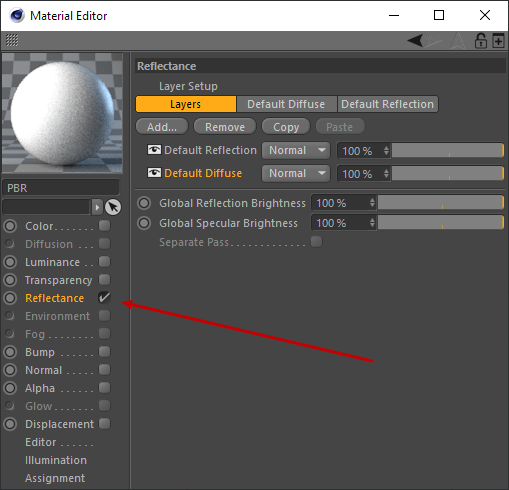 For this subject and C4D’s mighty Reflectance channel, also check the manual. What do most digital material systems in computer graphics have in common? It’s their physical approach: Today, materials are capable of visualising real-life effects via complex reflection algorithms. The paramount acronym you’ll hear a lot these days is BSDF. It stands for Bidirectional Scattering Distribution Function. And what it describes is a material’s characteristic way of scattering reflection rays. A small part, however, is not absorbed but reflected: That’s the color you actually see. For example, the sphere in the image above appears blue because it has absorbed all spectral colors but blue. It reflects blue color. As you see, reflection basically means that we see anything at all. In the top image, lots of reflection rays bounce in all directions. 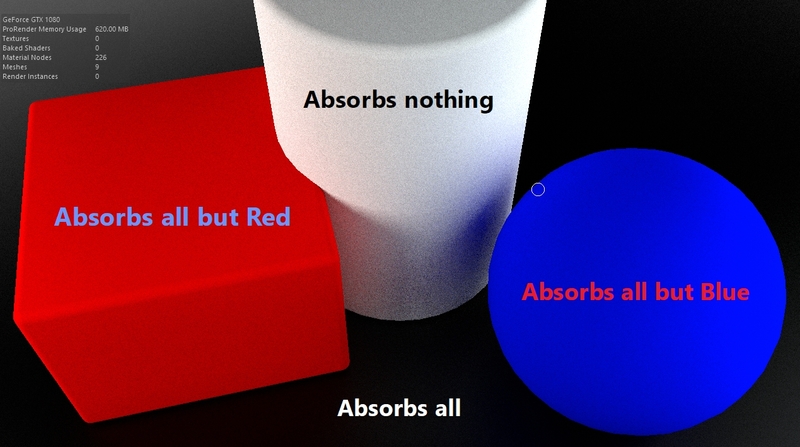 In the bottom image, few reflection rays bounce in one direction. 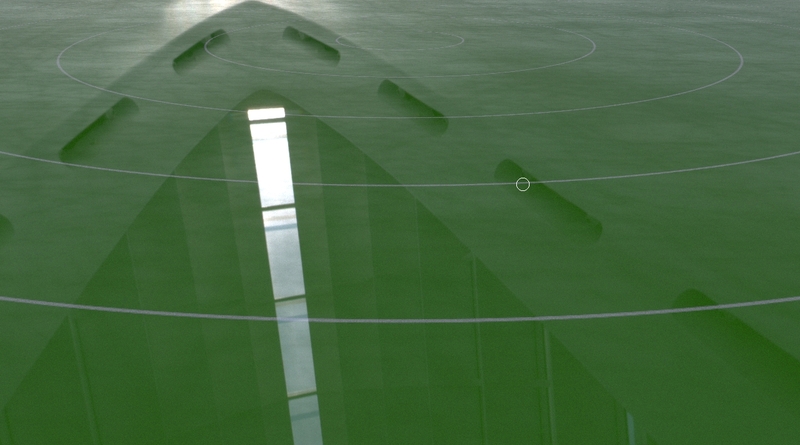 And here we are again: Material surfaces look special because of the way reflections are scattered. 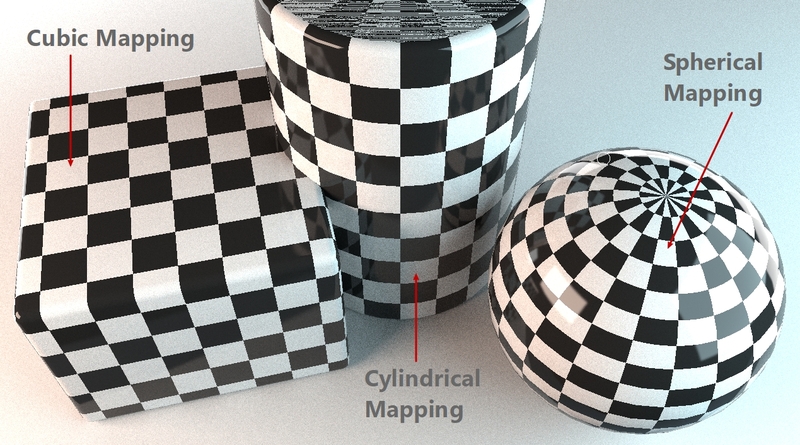 Hence the Acronym: Bidirectional Scattering Distribution Function, in short: BSDF. Need more on this? Check Cinema4D’s manual. 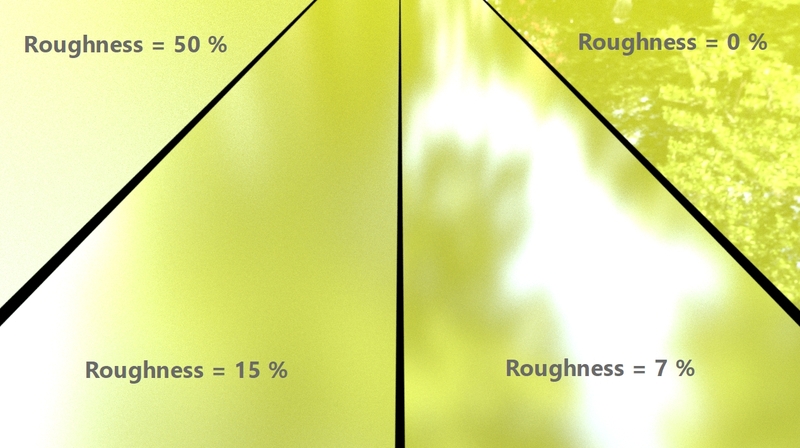 Mind you, Roughness means Scattering. It has nothing to do with Bump or Displacement – that’s another story. We’ll come to that further down. But before that, let’s talk about just one other feature belonging to reflection. 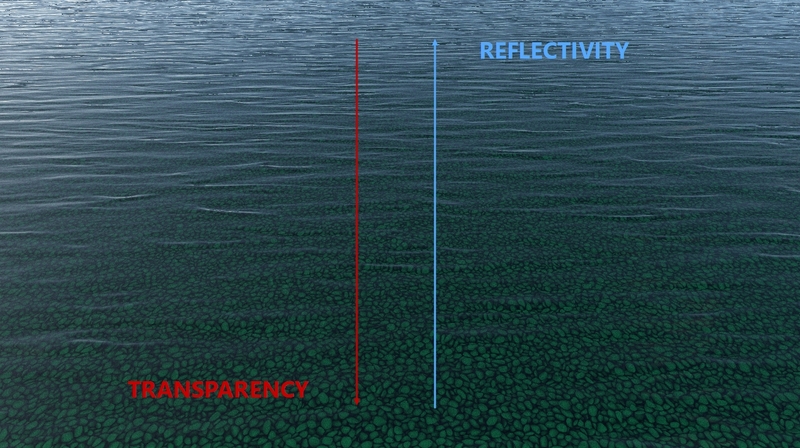 The water surface changes between being nearly 100 % transparent to being nearly 100 % reflective. The respective effect depends on the view angle: The more tending towards vertical, the more transparent the water appears, and vice versa. 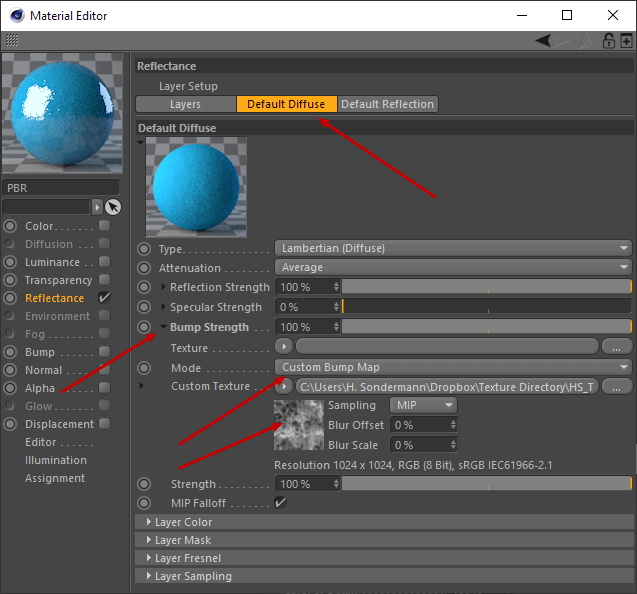 Speaking in terms of your renderer: What you observe is in fact a gradient mask between two material effects: transparency and reflectivity. This phenomenon – you may have guessed until now – is called Fresnel. They reflect differently, i.e. their Scattering Distribution varies (see Reflection Basics: Scattering). Their reflection amount changes according to the view angle, i.e. their Fresnel varies. 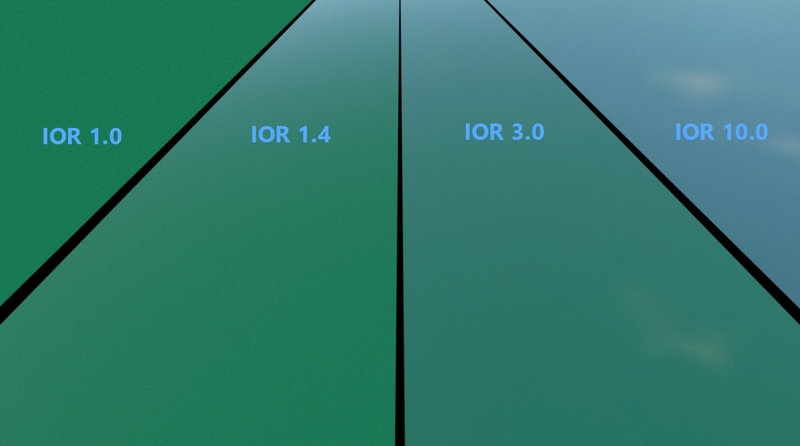 As you can see, an IOR of 1.0 eliminates reflection completely. A high value like 10.0 turns the surface into a mirror. 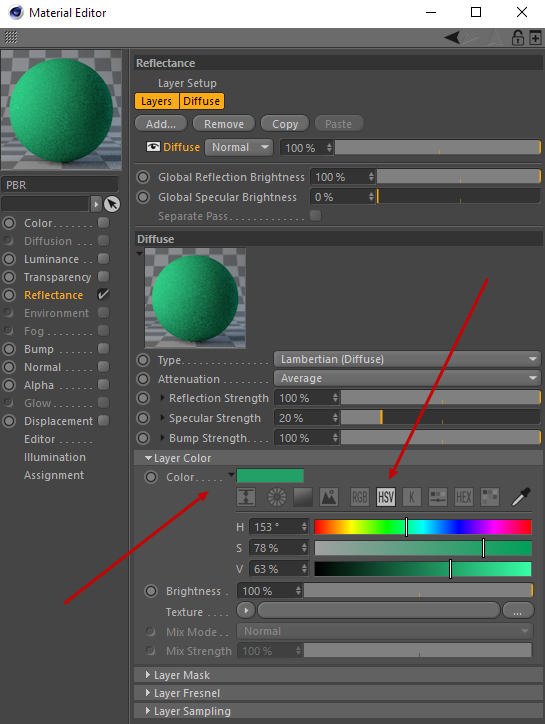 Values between those extremes show various gradients between base color and reflection map. Most of the time, picking a preset that will match more or less will do – like asphalt, if you need, let’s say, an IOR for concrete. To visualize those deviations from perfectness, we use masks – greyscale maps that overlay basic surface features like color, roughness, reflection amount, fresnel etc. To compose maps please refer to my above chapter on Bitmaps and Procedural Shaders. But where do you use them, precisely? Let’s see. 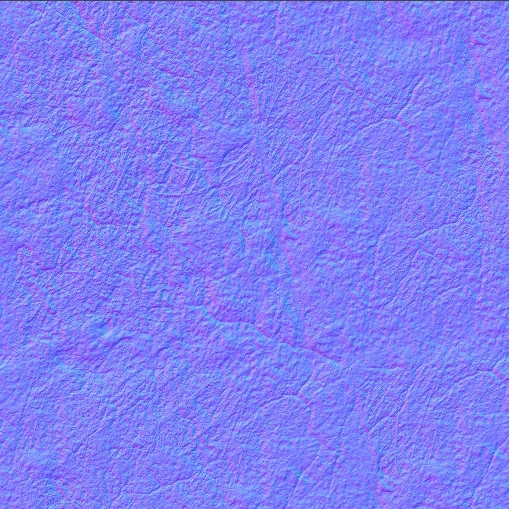 The image shows a surface with a Diffuse and a Reflection layer. The lines are supplied by a Tiles shader in the Diffuse, their sole purpose is to add some perspective depth to our example image. 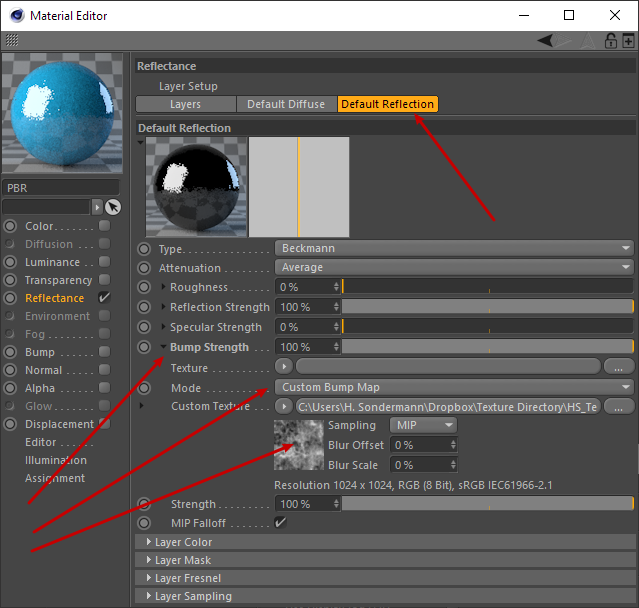 You see it’s not necessary to roughen up the Diffuse image – using a noise map in the Reflection is far better as it affects the reflection amount which makes it look much more real. As you can see in the settings above, Mix Mode is set to Normal – which makes sense most of the time – but Mix Strength is dimmed down to 50%. This is a value worth playing around with. 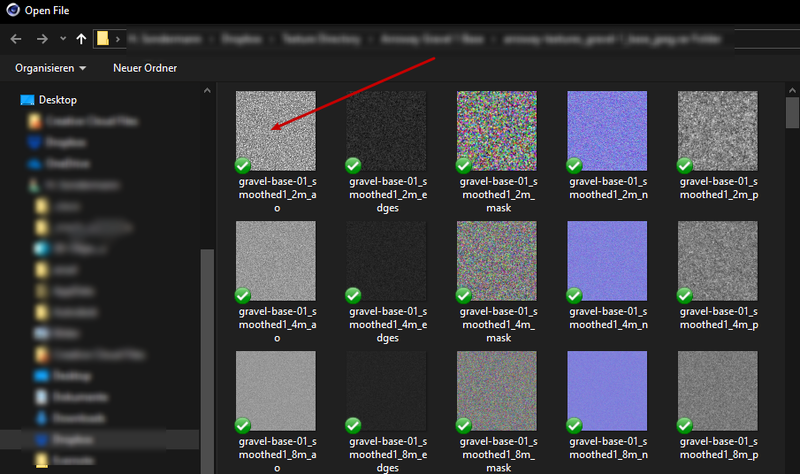 As you see using the noise map in either Layer Color or Layer Mask makes no difference – at least I don’t see any. 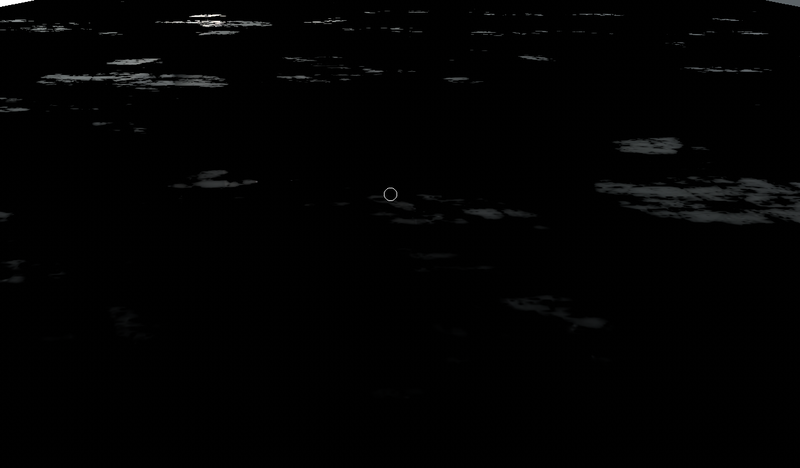 Compared to the images above it looks rather weird – the bright parts of the map just eliminate the Fresnel. And it doesn’t help that the map impact can’t be dimmed, as in the layers above. But what if we switch on the Diffuse layer again? 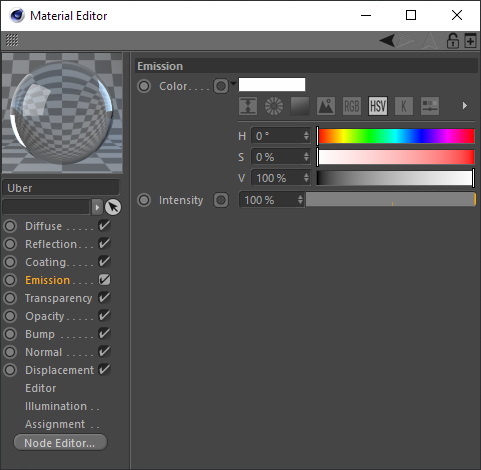 To sum it up: At least in this example, using the map in Layer Color or Layer Mask produces a much more realistic digital material surface than using it in Layer Fresnel. 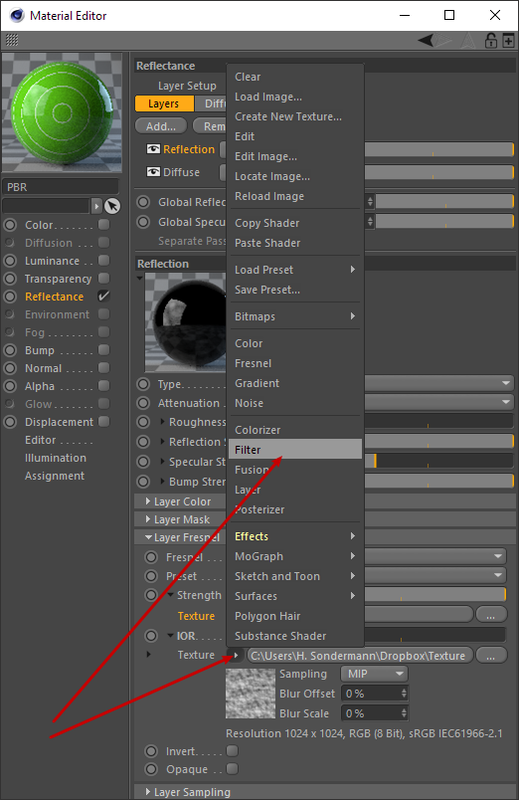 However in Fresnel, by using the Filter you may achieve different results that may also fit your purposes. After Diffuse and Reflection, there is a third major feature to a material surface: a degree of Unevenness. And here things start to get confusing. In my chapter Reflections Basics: Scattering I said that Roughness resembles Scattering – it controls the distribution geometry of reflection rays. It does not resemble any kind of natural unevenness which every real-life-material shows to some degree. Be it small or big scale. So, the CG effect for visualizing an uneven surface is not Roughness but a Bump map. 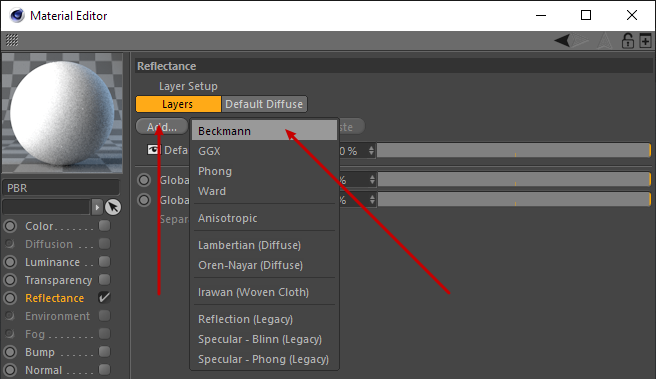 You may also have heard of Normal and Displacement maps. What’s the difference? The surface is bumpy, the edges straight. How did I do this? As you see I chose the same settings. 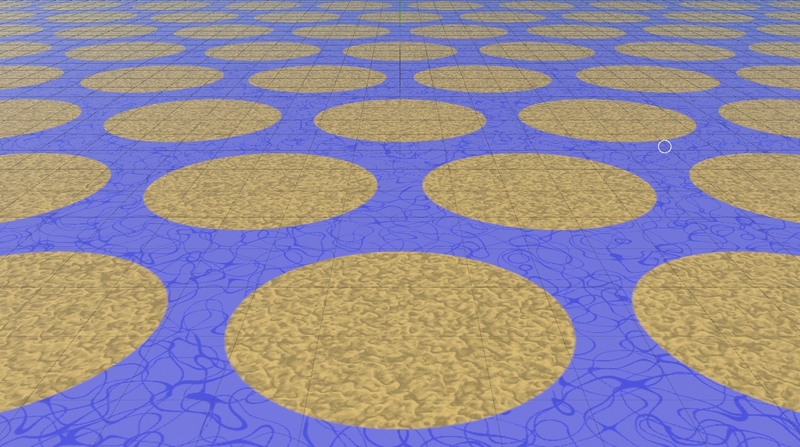 A normal map produces a smoother surface – basically because the map “moves” the pixel in all positive directions, whereas the bump map only elevates them in Y-direction. 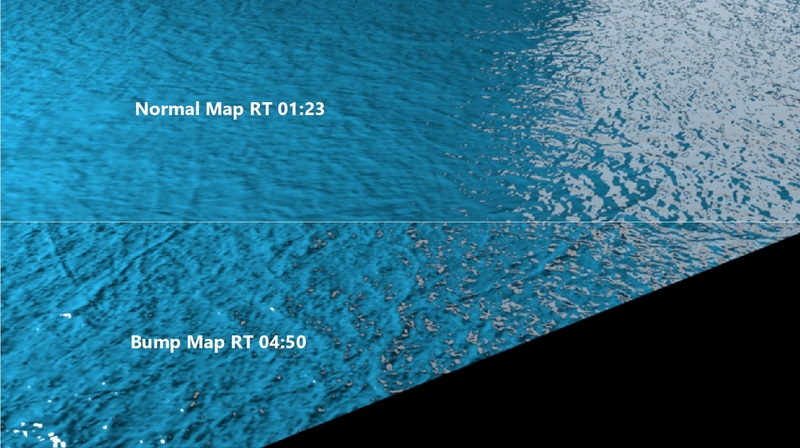 And there’s a huge difference in render time -with a normal map, rendering is nearly 4 times faster in this example. Now as I said above there are different ways to produce uneven surfaces. Two of them – bump mapping and normal mapping – do this by basically by faking the respective deformation. Depending on the light angle the illusion of unevenness can be quite convincing, but the edges reveal that the geometry has not been altered. Needless to say, the bump resp. 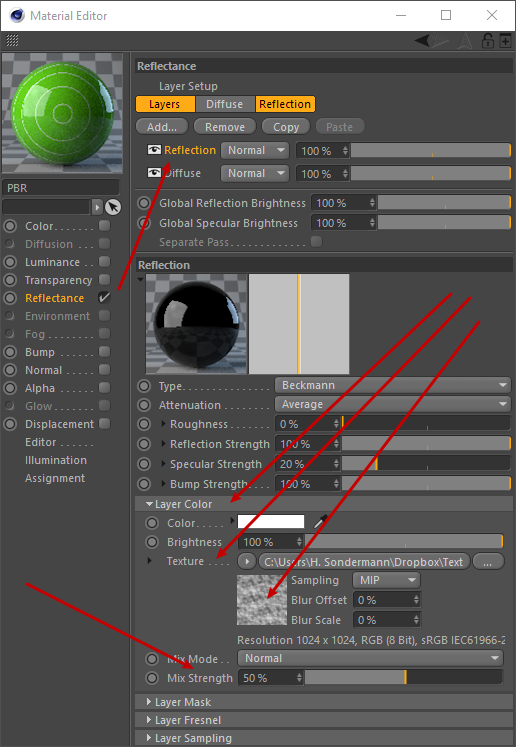 normal maps have been removed from the Reflectance channel – you don’t use displacement and bump with the same map. This is a real geometry deformation via map. Which is actually pretty cool – it means that complex surface geometry can be achieved by using a texture. So you have to make an educated decision which kind of surface deformation to choose. 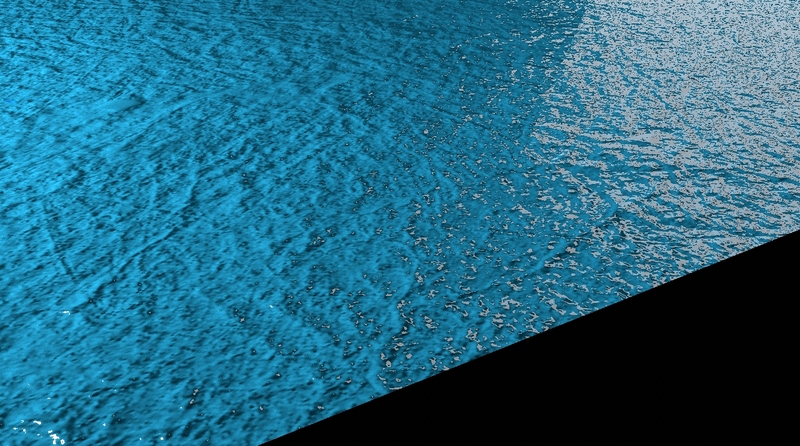 I should say however that displacement allows for a lot more effects than normal maps do. Check this out for an overview. As I said in the beginning, a material system is renderer-dependant. 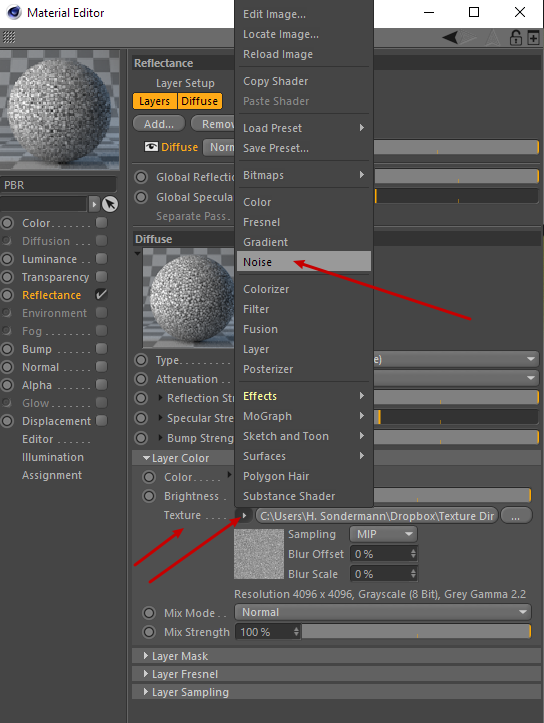 So, if you use Octane renderer inside Cinema4D for example you’ll have to use Octane’s materials system. 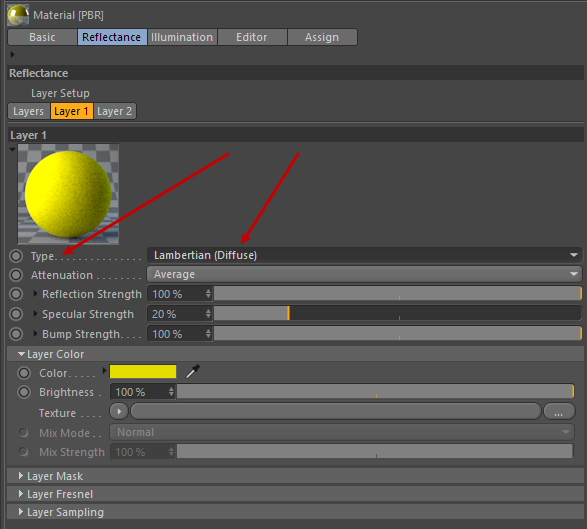 Now, even without an external renderer Cinema4D’s materials system has become a bit confusing over the last years. Let me give you a short guide what to choose. A general explanation concerning Standard and Physical renderer can be found here. 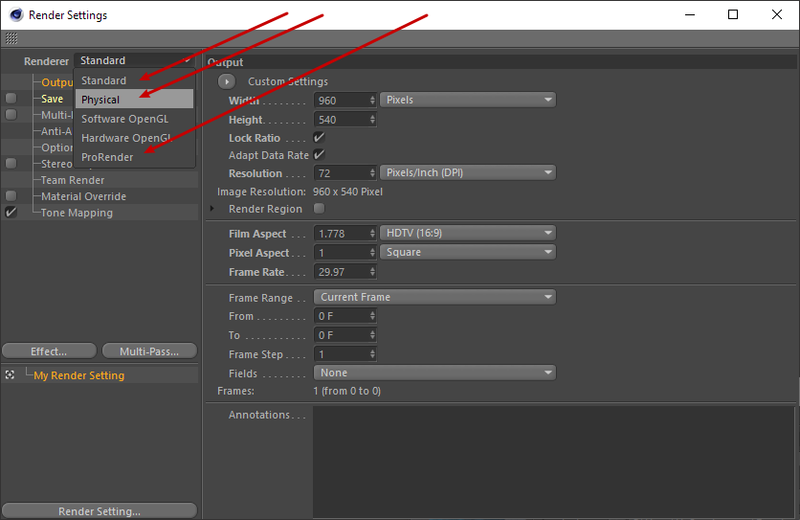 As for ProRender, see here. 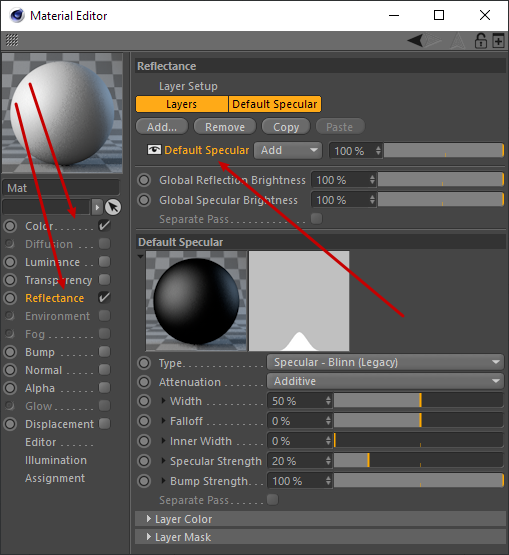 When you read the manual you’ll learn which aspects of a material setup are optimal for the respective renderers. 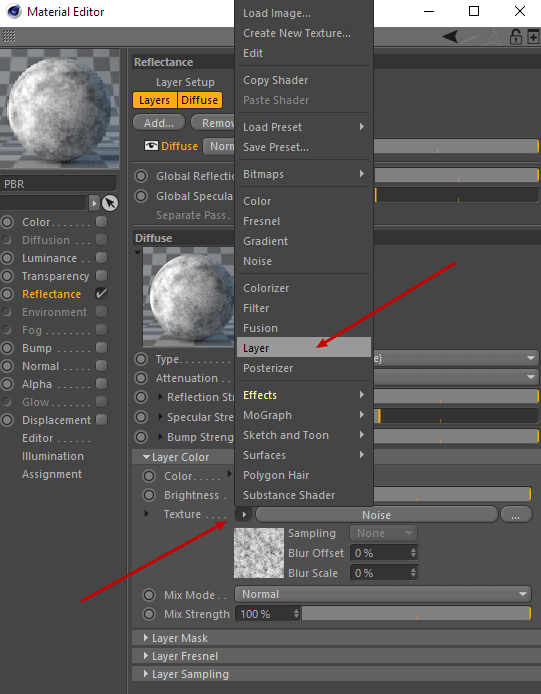 As for the instructions above and the examples I show: I used ProRender – it’s fast, easy to set up and GPU-based. That being said, it should be obvious that ProRender is much more fun with a descent graphics card (I use a Nvidia GTX 1080). So this is exactly the kind of material setup we did in the above chapters. Remember: I told you it’s all about a physically correct resemblance of reality, described by the acronym BSDF. 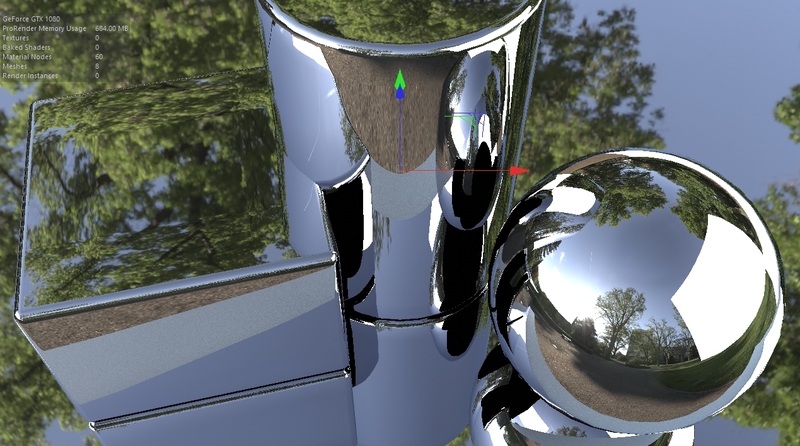 So here it’s called PBR Material which stands for Physically Based Rendering – which is supposed to mean the same. 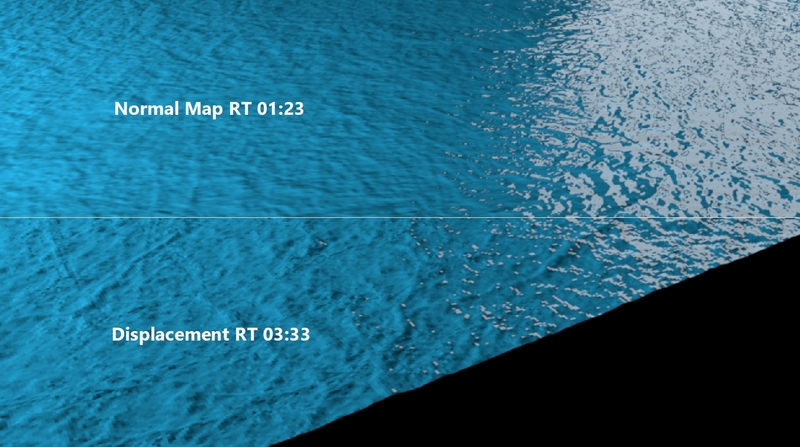 Not to forget: In the Reflectance channel we even did bump and normal mapping. Now this is very old-school, using specular – I would not recommend waste time on learning how to use this fake-reflections-feature. 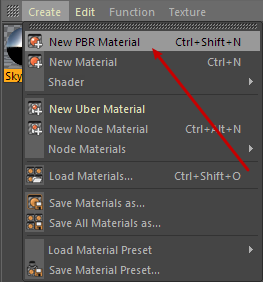 But, as you see, since PBR Material and Material are identical – only with different default settings – you can use either of them and just pick your favorite settings. 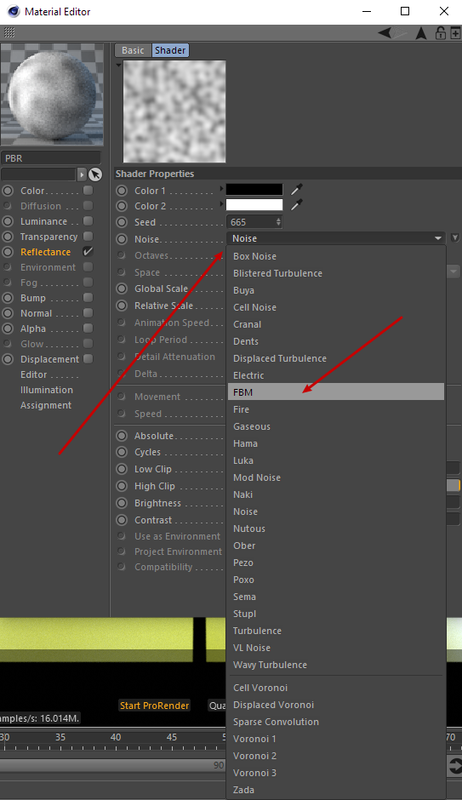 Actually I find it a waste of screen space to offer both in one menu – also confusing for beginners. As these are more like special effects than materials we won’t delve into this here. On the one hand, it is a much more efficient way to compose a material. For example, there are no redundancies any more concerning the use of shaders in more than one channel. On the other hand: For a simple material it may be a bit overdone stitching together nodes instead of just configuring a material the old way (like shown in the above chapters). I love it nonetheless – it’s so much more versatile. But as said right at the beginning, using the Node editor is no minor issue and worth an article of its own. And, as for now, it does not work with ProRender anyway. This is surely coming in one of the next upgrades though. But it is more or less empty – because it has to be composed in the Node editor in the first place. Hence the respective button down left. So actually, it’s more like a template that has yet to be filled. 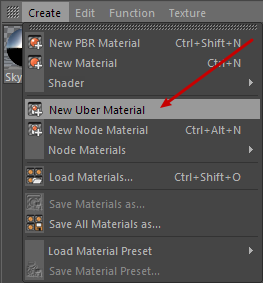 And again, like with normal and PBR material, it feels a bit redundant to have New Node Material and New Uber Material in the menu as they relate to something identical. 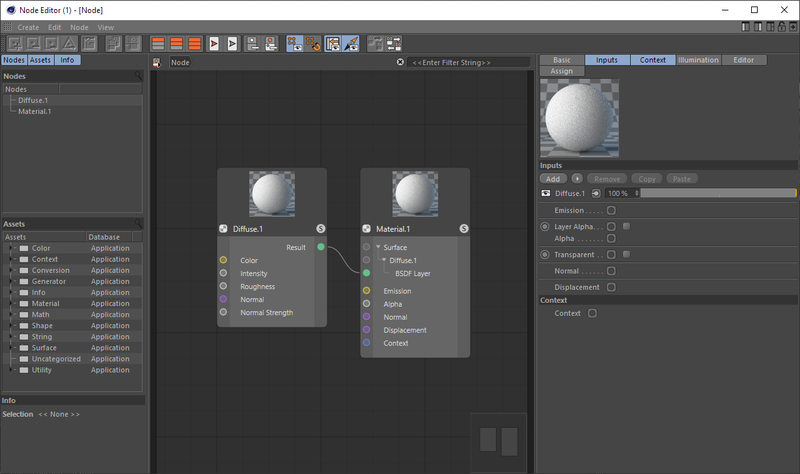 Again, good to get acquainted with C4D’s new Node system, but not an issue in this article. 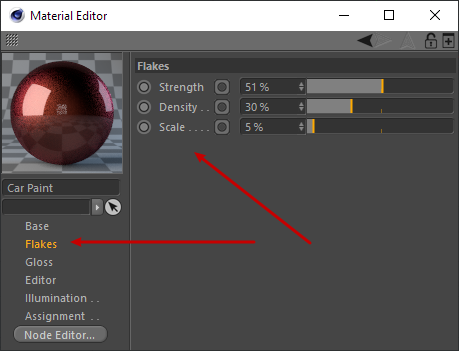 So there’s that – in “classic” Cinema4D’s material system, some basics you should know about composing a decent material surface. Mind you: This is merely a foundation for you to start from. 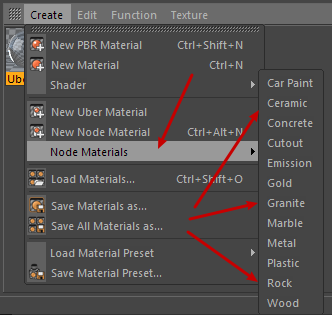 Creating materials is a skill that has to be trained like everything else. So feel inspired and get started! 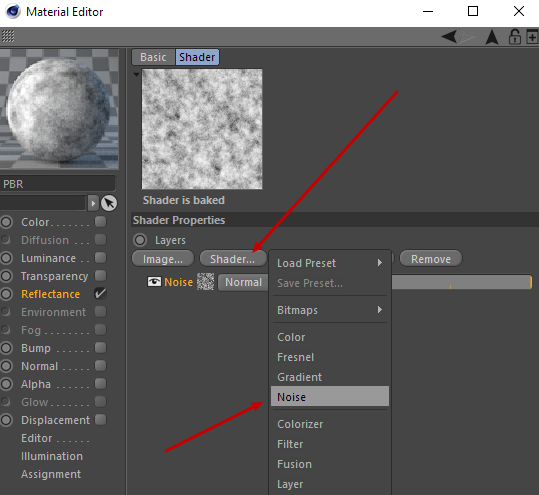 Tips on using ProRender: See here. Fantastic video on PBR workflow by Digital Meat: See here. In ArchViz digital material makes all the difference. 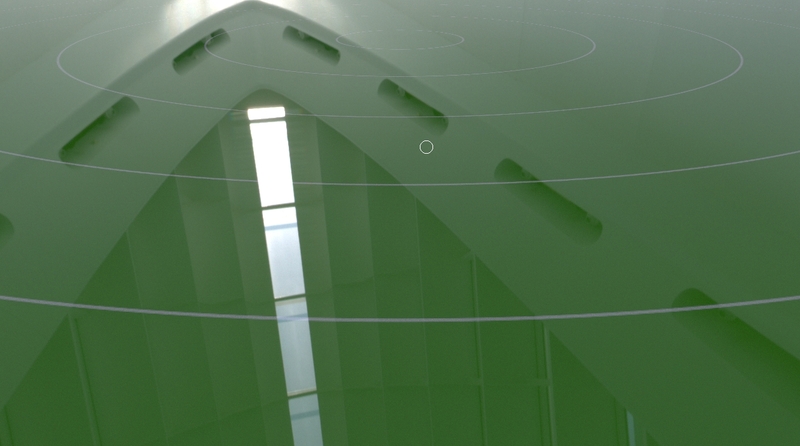 Let me show you some basic Cinema4D features to create surfaces that deliver physically correct looks.